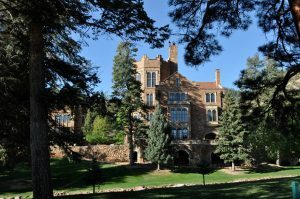 Come join us July 19-21, 2019 for a premier, all-inclusive Marriage Retreat at the at Glen Eyrie Retreat & Conference Center near Colorado Springs. You’ll be delighted in your premier room and gourmet meals for two in The Castle. Nestled in the foothills of the Rocky Mountains, tucked away on 800 gorgeous acres is a beautiful retreat and conference center, ideally suited for a Marriage Renewal Retreat. With stately pines, whispering aspen, lush lawns, sparkling waterfalls and majestic sandstone rock faces, the air is alive with the sound of birdsong and breeze through the trees- often the only sounds of a Glen Eyrie afternoon. Wherever you are in your relationship, whether if your marriage has become cold or distant, regardless of what feelings you may have for each other now, experiencing this weekend will dramatically change your relationship and put you on the road to recovery and life-long love. You’ll be empowered through in-depth, guided exercises to put the past behind, deal with relevant issues and rediscover the feeling of love in your marriage. Cornerstone’s unique, non-traditional approach has a proven success record of restoring 87.3% distressed marriages. Due to its high rate of success, our program is not only a more effective alternative to traditional marriage counseling, it is also much more cost-efficient. more love than you ever thought possible! We’ve had great success in restoring marriages that have been pulled apart by stress and pressures, conflict and communication difficulties, marriages struggling from a trauma or other major hurts such as an affair, conflict, emotional issues, career or mid-life crisis, or even couples who are separated, or trying to decide whether to stay together. In fact, many of the couples are there due the pain and hopelessness of an affair or other crisis. Based on leading marital research, timeless biblical principles, and our more than 21 years of experience working with thousands of distressed marriages, this high-impact, intensive weekend can change your life, turn your marriage around, and put you on the path to life long love. 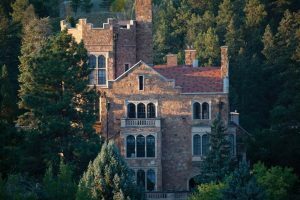 The moment you enter the gate to the enchanting Glen Eyrie Retreat Center and Castle, you’ll step back in time and enjoy a wonderful get-away from the hectic pressures of daily life. The perfect mix of beauty, history, modern amenities and gorgeous Rocky Mountain scenery -all make for a marriage retreat that promises to be simply unforgettable.Take in the scenic views of outdoor spaces and beautiful nature to grassy lawns from the Castle’s grand terrace. Enjoy a panoramic view from a mountainside trail or sit under a shade-tree while watching the Bighorn sheep graze. Between scheduled activities, relax on the Castle terrace. Within Glen Eyrie there is a feeling of total serenity. With delicious gourmet meals provided, coffee shop and sundries store available on-site at the Carriage House, you’ll likely feel no desire to leave until the Retreat is over all too soon. Trying to heal a marriage in 1-hour, weekly counseling sessions is ineffective because most issues can’t be resolved in a 1-hour counseling session. If you had a serious medical condition and needed surgery, would your doctor do the surgery “an hour a week” for 20-30 weeks? Of course not – and that’s why Cornerstone’s intensive, marriage counseling retreat is so effective. It allows for couples needing urgent care to experience deep healing in their relationship over a 3-day, 22-hour marriage intensive weekend. Once this “major surgery” has been accomplished, couples are able to achieve a thorough and speedier recovery in their marriage. In a 1-hour session, often by the time the couple gets to the root of an issue–it’s time to end the session. Consequently, couples often end up just opening up old wounds and then leaving discouraged, feeling more frustrated and hopeless than before. Yet, over 4 of 5 couples (86% of couples) who come to our Marriage Counseling Retreats leave re-committed to their marriage,” including even those where there’s been infidelity, separation and in many cases a pending divorce. Cornerstone’s nationally acclaimed marriage counseling retreat consists of a 3-day, 2-night, marriage intensive weekend, along with an optional series of 4 post-weekend, after-care sessions and optional private tele-coaching sessions. The program, developed over 21 years of experience in working with distressed marriages offers an effective proven alternative to traditional marriage counseling. During the weekend, our team of trained facilitators, coaches and counselors walk you through a guided process including assessments, exercises and activities designed to reveal the hidden barriers that have been keeping your marriage from thriving. You and your spouse will be challenged and empowered to take an honest look at yourself and your marriage, deal with relevant issues in your relationship and rediscover the experience of love in your marriage. You will be equipped with and practice new ways of communicating, resolving conflicts and make remedial changes by using time-tested tools to put the past behind, re-connect with each other, and rebuild a better, more caring, lasting marriage. An All-Inclusive Marriage Renewal Experience – Registration includes a premier room in the castle, gourmet meals for two, program materials and nine marriage intensive sessions. Once you register you will receive a confirmation email with all details. Should you have any questions or need additional information, please free to call us at 281-304-1500. We hope you will join us.